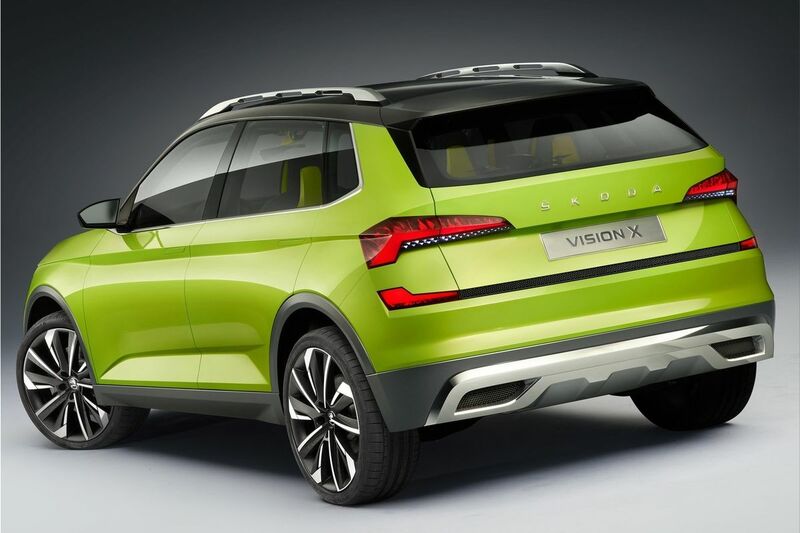 The Skoda Vision X announces the arrival of the Czech brand in the urban crossover segment, at the Geneva Motor Show. Vision X is a serious competitor of the Renault Captur and Peugeot 2008. 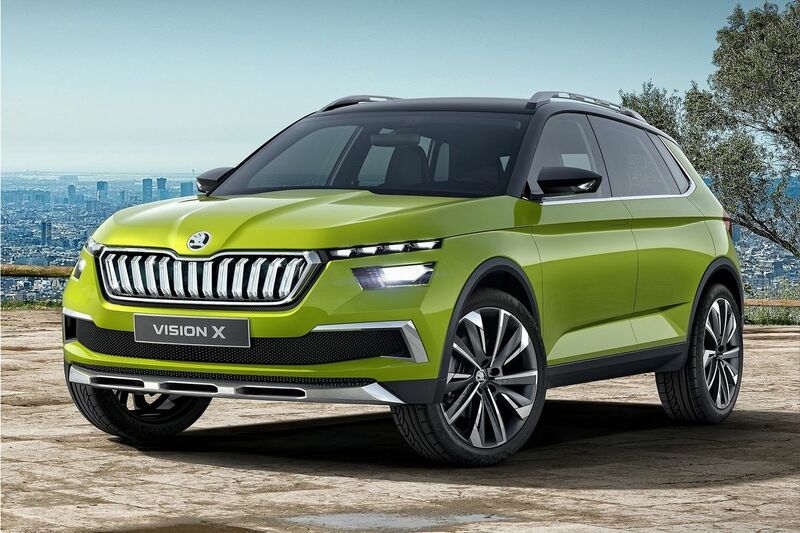 The Skoda Vision X is a concept that shows a new direction that will be addressed by the Czech manufacturer . 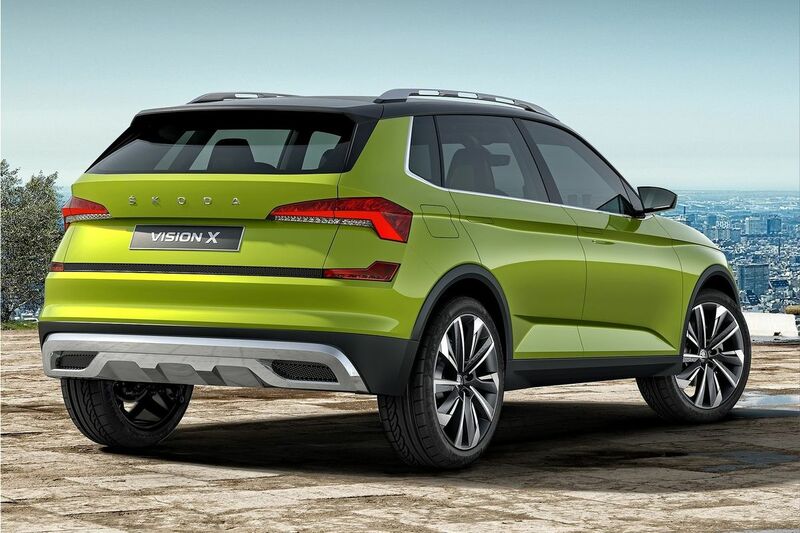 The Skoda Vision X has a two-tone bodywork (FlexGreen / Anthracite), and the 20-inch rims complement the modern look. Vision X addresses those who lead an active life. It surprises with its original powertrain. 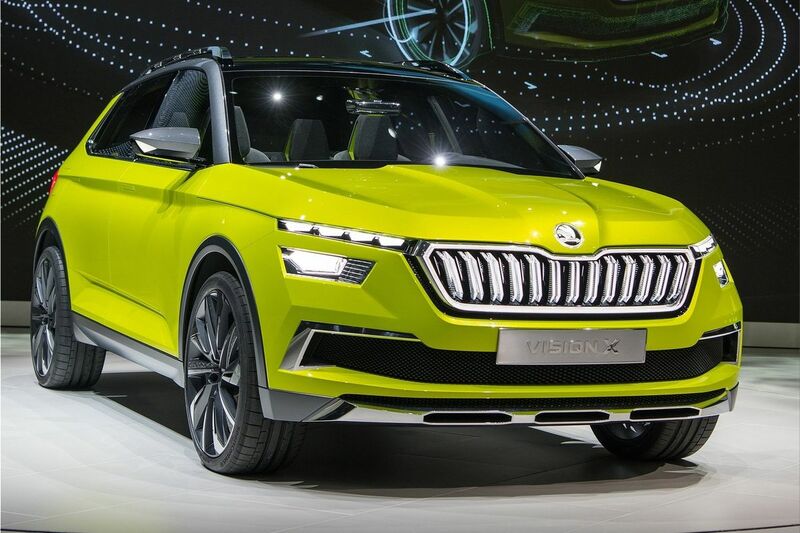 The Skoda Vision X is the first crossover with a hybrid drive. The Czechs will offer a 1.5 liter TSI G-TEC four-cylinder internal combustion engine that can run on gasoline or compressed natural gas (CNG). 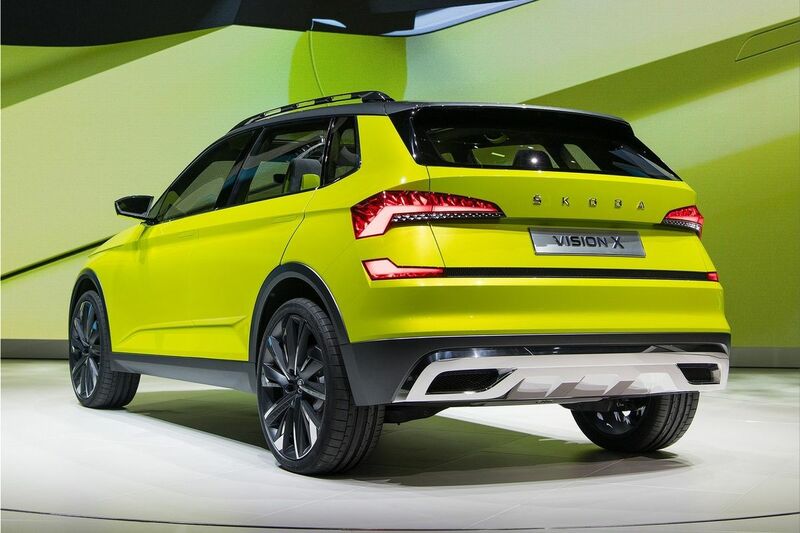 The concept also features an electric motor located on the rear axle. When operating with CNG, the internal combustion engine produces 130 hp. Depending on the traffic situation, Vision X sends the power to the front axle (internal combustion engine), the rear axle (electric motor) or both axles. The electric engine is powered by a set of 48V Li-Ion accumulators that are charging while driving. 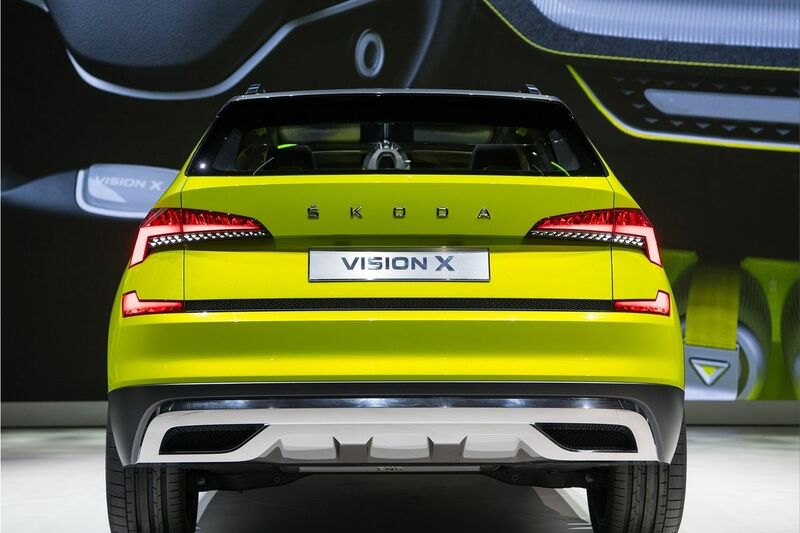 When both engines are active, the Skoda Vision X can accelerate from 0 to 100 km / h in 9.3 seconds. The maximum speed is 200 km / h. At the same time, the Czechs announce CO2 emissions of 89 grams per kilometer. 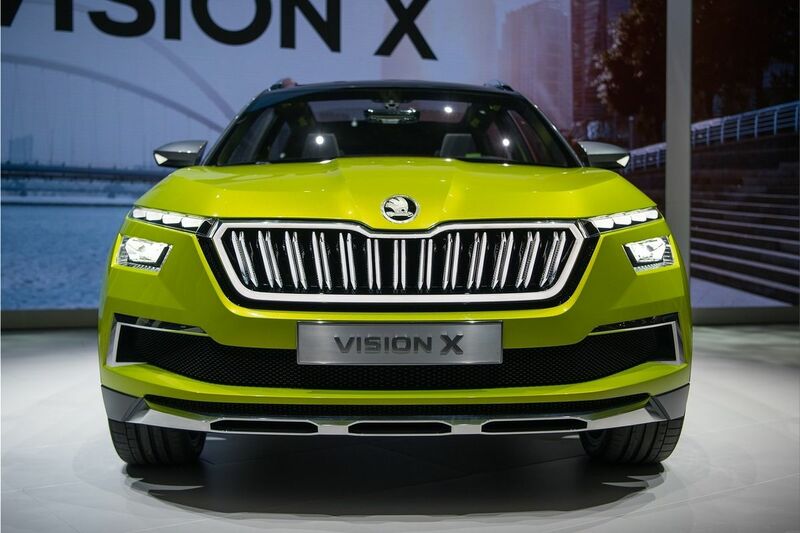 The Skoda Vision X has a length of 4.255 mm, the width measures 1.807 mm and the height reaches 1.537 mm. The wheelbase of the Vision X is 2,645 mm and the boot capacity reaches 380 liters. 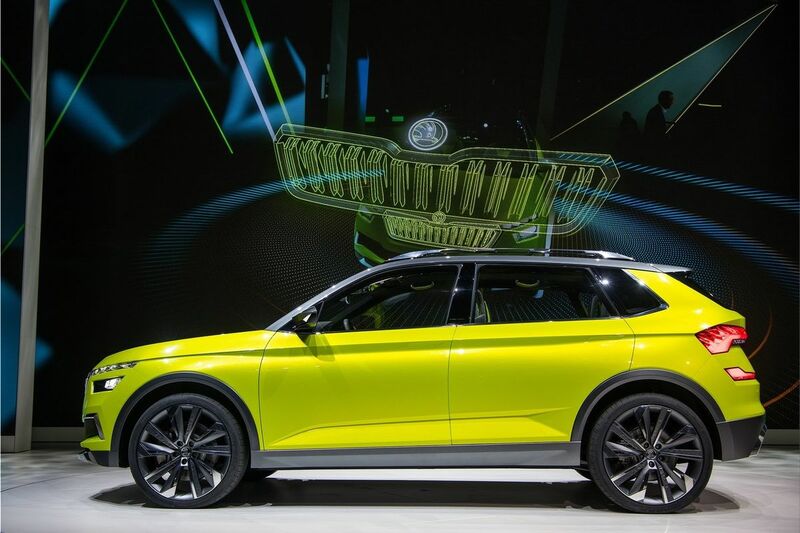 "The design of the Škoda Vision X expresses a zest for life and enthusiasm for an active urban lifestyle," said Head of Design Oliver Stefani, adding, "The design language typically seen in Škoda SUV models has been rigorously carried over to a new vehicle segment."